Ok, done with those ramblings and back to photos. 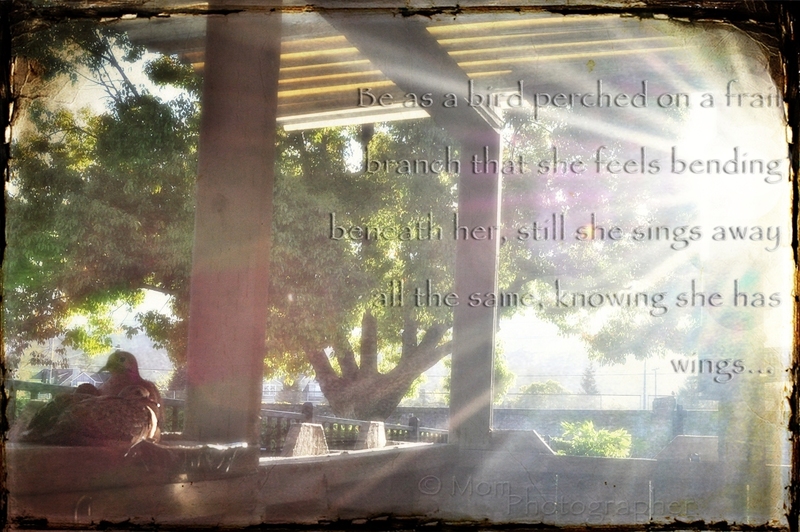 The doves photo I’m using today it’s an old one (i used it before) but couldn’t find any better for the Victor Hugo’s quote I wanted to use for today’s Kim Klassen Texture Tuesday (the word edition). – Getting ready to say “goodbye” to the patio doves! oh… how I adore Victore Hugo! have a great book with his poems with so many favorite quotes in it, but it’s in Polish… and I’m not very comfortable to interpret his writings… too old… too sofisticated, to complicated for me… I mean – to translate 🙂 Thank you for your sweet comment! ściskam ! These are both absolutely exquisite! So glad you are joining us on Tuesdays for Around the World Tuesday. How sweet of you. I did an interview with Kim last week. Isn’t she amazing? WOW! She is amazing! I love her every single texture, and she is such an inspiration!!! oh fun! I’m pretty new to textures, you’ve got some lovely applications…. and I love saying this to another KK fan!! I love the contrast in the second one! Beautiful! What a gorgeous image for that great quote! Love your finished pieces! Beautiful images, and I love, love, love Victor Hugo! Great choice for the quote. Oh, and you deserve credit for waking up early for yoga. It’s a goal I have yet to accomplish. These both look really lovely. it’s the best tea on Earth 🙂 Seriously! Beautiful! I love those words and they go perfectly with the first shot!